Looking to find a new way to bring excitement to your next New Orleans School or Church Function, Summer Camp, Youth Group or Kids Club? Need something new and unique for your Ice Cream Social, Fundraising Rewards, or School Open House? 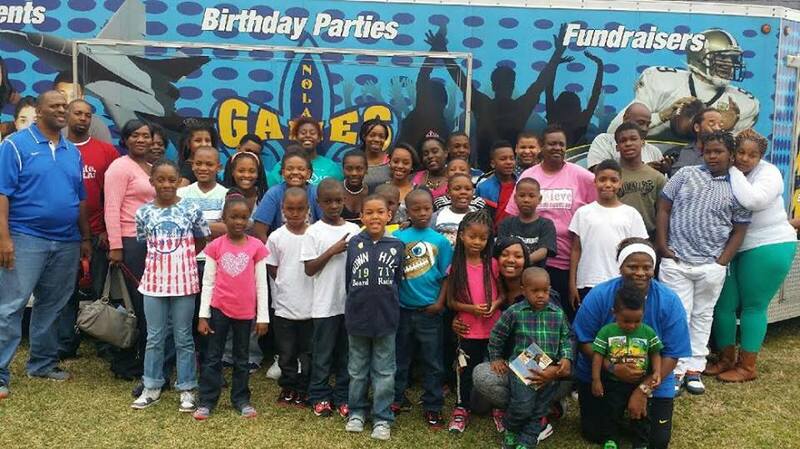 NOLA Games On Wheels is the answer! Kids will flock to our state-of-the-art video game trailer! We come to your school and provide hours of gaming fun for kids of all ages. Up to 28 can play numerous games while our friendly staff hosts the fun. Worried about game ratings? Don’t! When you book your party, you select games that reflect the appropriate age range for your kids. Check out our games page for more information. 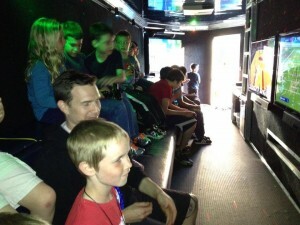 Our Laser Tag parties are a blast! We’ve got high-tech laser taggers, a custom playing field with obstacles that allow players to “take cover,” a Game Coach/Referee to instruct players and oversee game play, and lots more! You can even combine our mobile video game theater and Laser Tag together for the most awesome party in New Orleans! 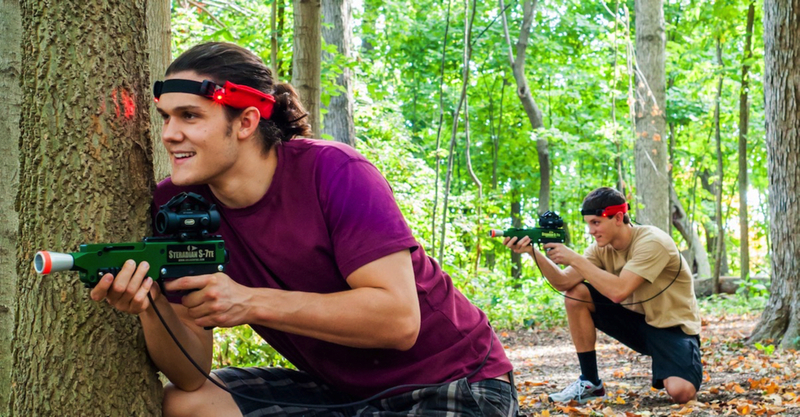 Read more about our Laser Tag parties here! The kids will be impressed with the design of our video game party truck and trailer! We have the newest video game consoles, coolest games, comfortable stadium seating, high tech video and sound, and an amazing laser light show. Our mobile game theater is completely self-contained; all we need is a 45’ place to pull up and we can get the party started. We’re available in and around New Orleans, serving Jefferson Parish, Orleans Parish, St. Tammany Parish, St. Bernard Parish and Plaquemines Parish. New Orleans’ BEST Party Idea – Video Game Theater, Laser Tag Party, or a Combination of Both! We bring the Ultimate Gaming experience right to your front door! 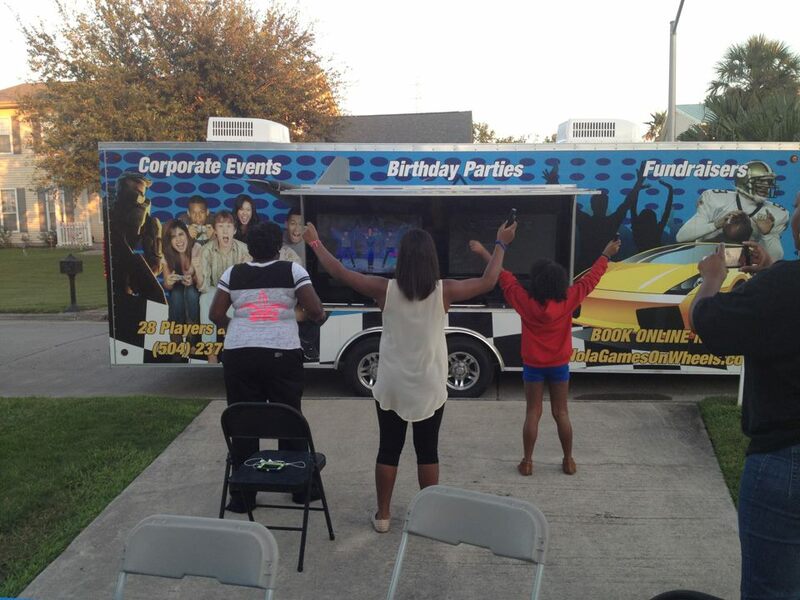 We've got the best party in New Orleans, whether we bring our mobile game theater or NOLA's best Laser Tag party! Our luxury, limo-style theater on wheels features 7 HUGE High-Definition Televisions! There are 5 widescreen high-definition TVs inside...four 50" TV's and an amazing 60" HDTV in our exclusive "Action Station," with surround sound and seats with built-in vibrating motors synced to the on-screen action. This is multiplayer gaming heaven! Our Stadium-Style Seating allows the whole crowd to enjoy the action! Two more 50" HDTV's outside allow 28 to play at the same time! We have all the best games on the best consoles. Our Laser Tag party comes right to you! High-tech laser taggers, a custom playing field set up right in your back yard or even indoors, and a Game Coach/Referee to instruct and oversee the fun! Birthday Parties, Church & School Events, City and Civic events, fairs, festivals, corporate functions and family reunions...we do it all! Serving Jefferson Parish, Orleans Parish, St. Tammany parish, St. Bernard Parish and Plaquemines Parish. 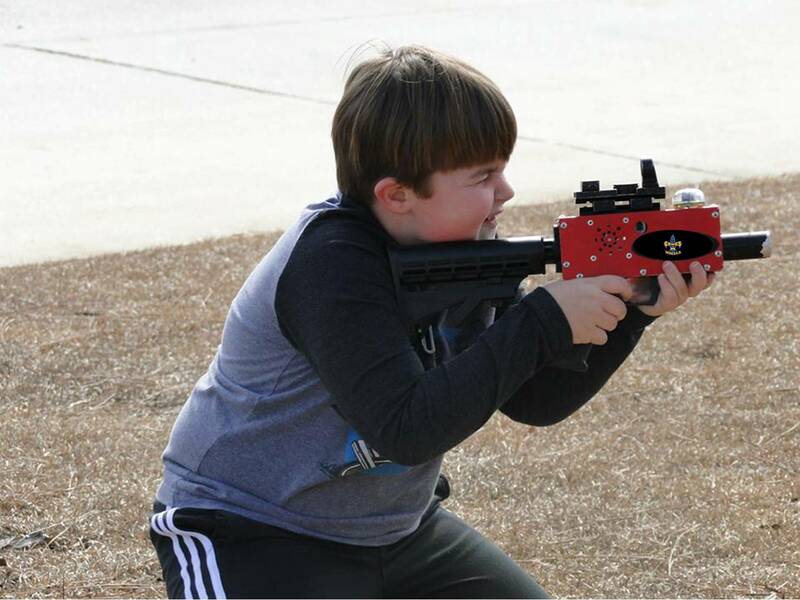 We now offer the BEST Laser Tag party in New Orleans! 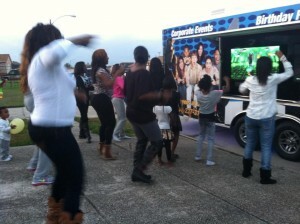 Awesome Video Game Truck Birthday Party in Jefferson Parish, New Orleans!